Using a Federal Housing Administration loan to buy an affordable home is one of the main purposes of the government program. The FHA insures loans made on single-family homes, including condominiums. The government agrees to repay the loan if the borrower fails to, making it possible for lenders to finance borrowers with poor credit and minimal funds. The FHA has stricter standards for condos than traditional, detached houses and it may refuse a condo that doesn't meet its guidelines. FHA loans require a down payment of 3.5 percent and accept credit scores as low as 500 to 620, depending on the individual lender's requirements. FHA financing is popular among first-time buyers and may only be used for a principal residence. The FHA lender calculates the monthly condo payment, including principal, interest, taxes, homeowners insurance, hazard insurance and HOA dues. The lender may refuse to approve your condo loan if the total housing payment exceeds 31 percent of your gross income. The FHA limits the amount you can borrow for a condo. The maximum loan limit is $271,050 in most areas of the country. In high-cost locales, such as certain metropolitan areas of California and New York, you can borrow up to $729,750 for a condo. A condo unit must meet the Department of Housing and Urban Development's minimum property standards. The FHA appraisal inspection determines whether a condo meets HUD's health, safety and structural requirements. Because condos are part of a building complex for which borrowers share ownership in, the complex itself must prove financially viable. The FHA refuses condos in complexes that are involved in litigation or in any phase of construction. It also refuses complexes when more than half of the condo units have FHA loans or when more than half of the units are rentals. A complex may have no more than 50 percent commercial space. The homeowners association, or HOA, must gain approval from HUD prior to the FHA insuring loans for its units. HUD maintains a database of HOAs and their approval status. The FHA examines the HOA's financial documents to ensure it is fiscally sound. No more than 15 percent of homeowners may be more than 60 days delinquent on their HOA dues. The HOA must also set aside at least 10 percent of its budget for reserves. 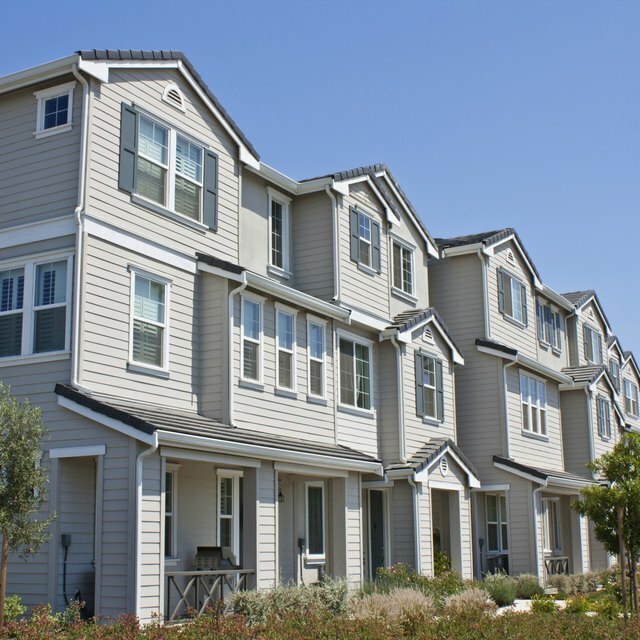 The HOA must provide proof of sufficient insurance coverage, as well.